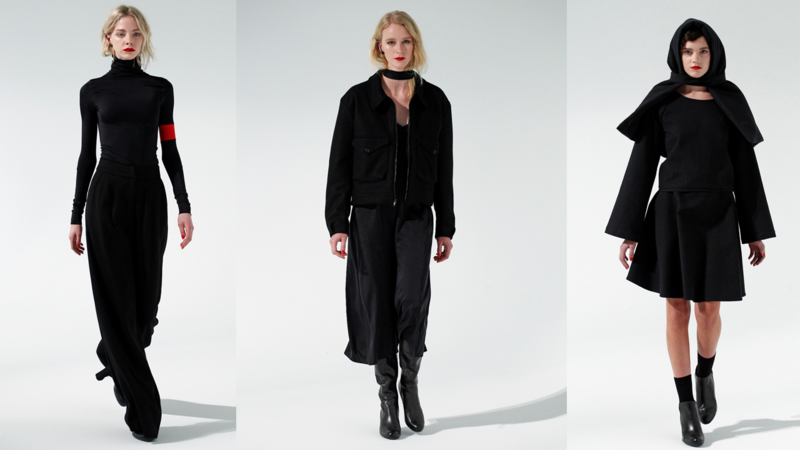 Overall: Designer Katie Gallagher showcased her fall '15 collection in an all white room at Pier 59. 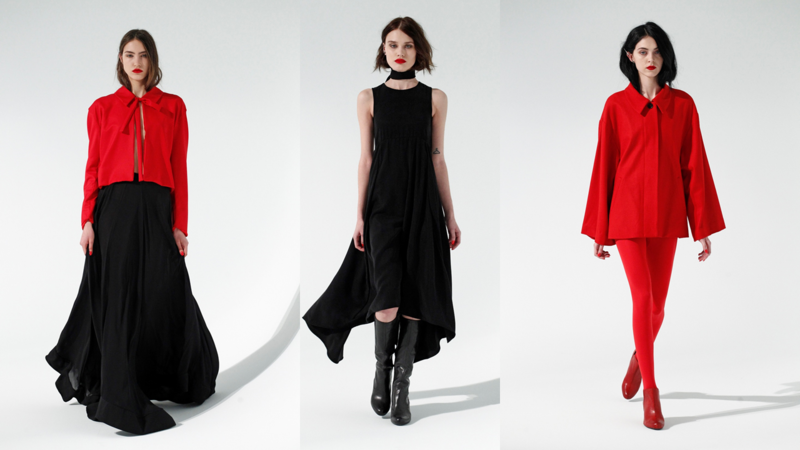 With a collection that was primarily black and red, the two colors pop amongst each other. Titled "Navy Eyes" Katie grew inspiration from Synesthesia, a neurologically based condition in which stimulation of one sensory or cognitive pathway leads to automatic, involuntary experiences in a second sensory or cognitive pathway. Katie gave the showgoers her version of how a synesthete precieve feelings and words in color. It all makes that sense that Katie would have the models wearing monochromatic silhouettes against a white wall.